Well fans, there is a lot to talk about. The identity of Mariah has finally been revealed. She is the fake Cassie and she is connected to the ubiquitous Ian Ward. That man is everywhere and he is involved in everything. The only person in Genoa City who may be able to bring Ward down is Victor Newman, The Big Man himself. I think that the cunning former cult leader will turn out to be The Big Man's greatest challenge to date. Don't count on Clueless Paul Williams to be any kind of a match for the slippery Ward. I was certainly surprised when the Cassie look-alike was revealed to be Mariah. If Y&R's intention was to surprise, the show certainly succeeded in that respect. Yet. one important question remains unanswered. Why do Cassie and Mariah resemble each other so much? I still think they will turn out to be identical twins and that Sharon is actually Mariah's mother. A viewer, Fifi from Collingwood, Ontario, suggested to me that Ian Ward somehow took Mariah away from Sharon and gained control of her. Sharon, of course, had no knowledge that she had given birth to two babies. She always believed that Cassie was her only daughter. This would explain Mariah's connection to the conniving Ian Ward. Speaking of that snake-in-the-grass, I have to say I've been quite impressed by actor Ray Wise's performance in the role. His portrayal is truly frightening. When Ian walks into a room, I can feel a chill go down my spine. 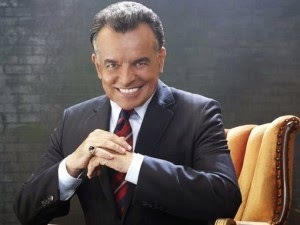 Kudos to Ray Wise for some excellent acting. Just look at the expression on his face in the photo below. It's priceless! I have never been a fan of the Chloe character and I was not disappointed to learn that Elizabeth Hendrickson, her portrayer, has decided to bid farewell to Y&R. As far as I'm concerned, Chloe can not leave town fast enough. Her latest antics have been disgusting and her determination to recreate Delia by having another child with Billy is absolutely nauseating. As for Billy Boy, he was quite reckless to put himself in a situation where Chloe was almost able to take advantage of him. He's very fortunate that he fell into a deep sleep. I only hope that Elizabeth Hendrickson is not replaced by a new actress and that Chloe is mercifully written out of the show. Billy Boy's estranged wife, Princess Victoria, seems quite discombobulated these days. I've never seen her so confused and indecisive. So now we have the "Who's the Daddy?" scenario. Is it Billy or Dr. Stich'em up? Does the Princess really think she can keep her pregnancy a secret? Chelsea and Stitch already know. Somehow, I think Billy will be the last one to find out. Even if it's only temporary, it's great to have the old sweet Sharon back, the Sharon we knew before the writers ruined her character. I enjoyed those flashback scenes when she and Nick were so young. The writers should have had her diagnosed as Bipolar much sooner so we could have had a plausible explanation for her behaviour. A big UGH to the affair between Neil and Hilary. I can't stand the way Neil has been acting. He's been behaving like an overaged teenager. I hope he is discovered soon. Is everyone so dense that they can't figure out what's going on? How long can they keep this a secret from Devon and Lily? Although I really like the chemistry between Jill and the Australian Cary Grant, the writers have made this storyline drag on far too long. The music box mystery should have been solved much sooner. Most viewers don't even care about it now. The writers really need to tie up the loose ends. First Delia, then Adam, and now the writers are really scraping the bottom of the barrel.....what a ludicrous storyline.....the fake Cassie is Mariah?!!!! Tyler and Mariah must have been a real Bonnie and Clyde couple back in their L.A. days! Plus, it is a good thing Nick is not evil like his father or he might kill Victor especially after he finds out that Victor is urging Sharon to put the brakes on rekindled relationship with Nick. Well, CC, I have to admit I was quite surprised when the Cassie impersonator turned out to be Mariah. I didn't see that coming at all. Camryn Grimes, who plays the fake Cassie, doesn't look tough enough to be any kind of a criminal, never mind part of a Bonnie and Clyde couple with Tyler. That's why I never associated the Cassie look-alike with Mariah. 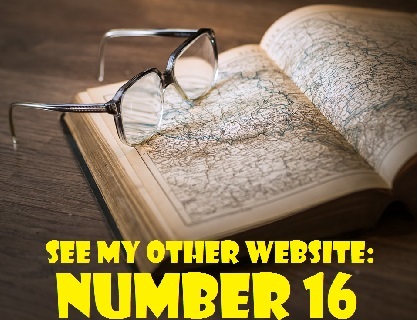 Victor will never stop interfering in the lives of his children. He always has an excuse and he always claims he will be proven right. His latest excuse is that he has to take control in order to protect his family. As most of you have heard, Michelle Stafford (Phyllis Summers Newman) has joined the cast of General Hospital as Nina Clay. 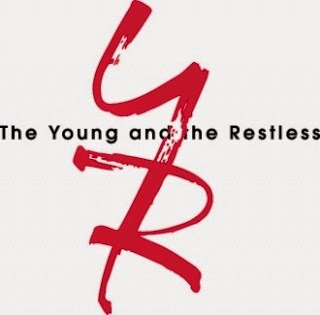 The news is disappointing to fans of The Young and the Restless. Many of us had hoped that she would eventually return to the show. Alas, it is not to be. Y&R has put out a casting call for a new Phyllis which describes the character thusly: "Phyllis is beautiful, smart and conniving. She is confident in her own sexuality and is unafraid to use it to get what she wants. She knows she has power over men and many times has used it, both to her benefit and to her detriment. She definitely has an edge." Hmmm . . . it doesn't say anything about red hair, although I can't imagine Phyllis as not being a red-head. So why did Michelle leave Y&R? What's the story? Well, in an online interview, Michelle stated that she didn't just leave the show to do The Stafford Project. She declared that she left the show for many reasons some too personal and private to ever reveal publicly. However, Michelle feels that after all these years, she has taken the Phyllis character far enough. She wants new challenges. I can understand that but I think there is much more to the story. There is something rotten in Genoa City or why would so many actors be choosing to leave the show? Here's another reminder that Melody Thomas Scott (Nikki Newman) will be appearing at the casino at the Woodbine Racetrack tomorrow, Mother's Day. She will be there from 1:00 p.m. to 3:00 p.m.
That's all for now. There should be much ahead as the May sweeps continue. Don't forget that the next edition of Y&R Report will be posted on Saturday, May 24, 2014.